It's just your face. : Still improving! Well my face is still improving much to my surprise and joy. Yesterday when I woke I did the 8:1 argan/tto all over my face, coconut oil once during the day and the 1:1 ratio argan/tto before bed. 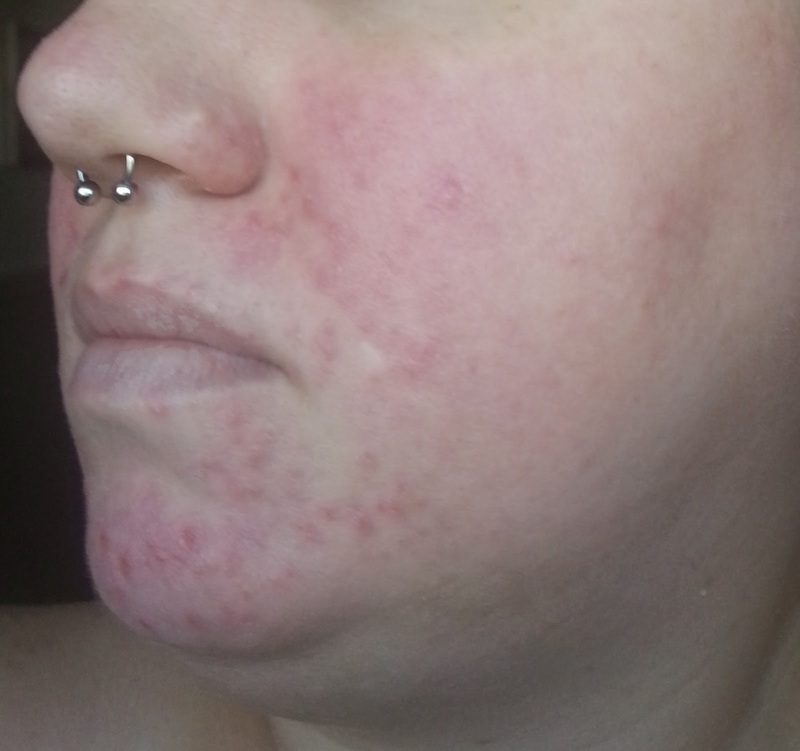 My face is pretty dry in my rosacea areas which I am pretty sure is just it healing and the tto tends to be drying. 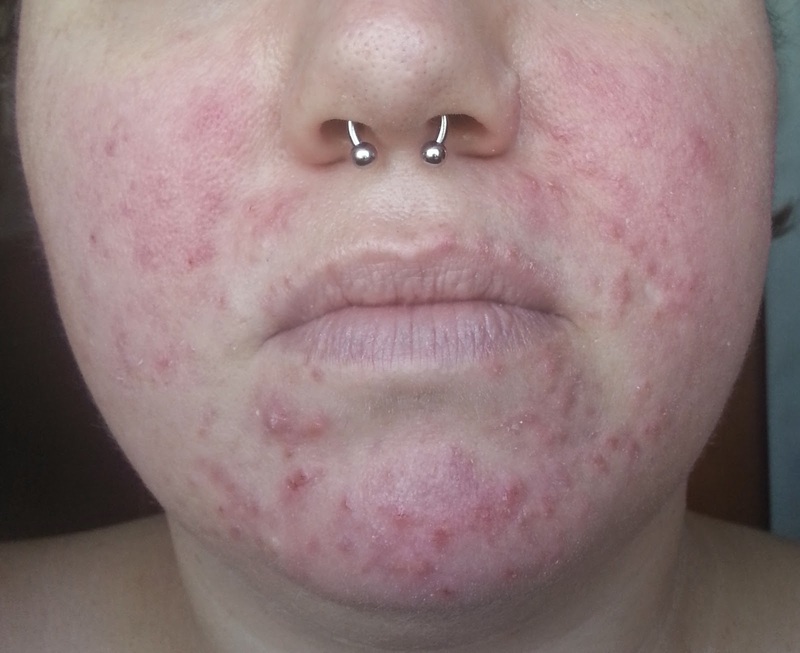 I did a test spot of 100% pure shea butter to see how my skin would react and it did fine so I might start putting that on my dry spots. After I drank my last coke (I will miss you my love) I didn't have anymore flushing yesterday. So the changes today are pretty impressive from a week ago, I will post a side by side from the beginning to now. My eyes are not crusty/gritty when I wake up anymore, I haven't been feeling them crawl as much (which is the grossest feeling ever!) I feel them on my nose sometimes after I put the 1:1 on at night so I dosed my nose pretty good. I do still feel them on my scalp a little bit but I think the tto shampoo and conditioner is really helping that a lot also. When I woke today I only had two p&p, so I am pretty excited. 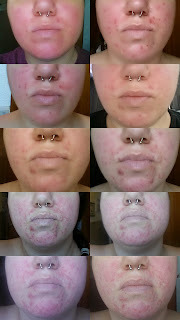 I was pretty convinced that nothing but oracea was going to work. I just wish I had found this sooner. 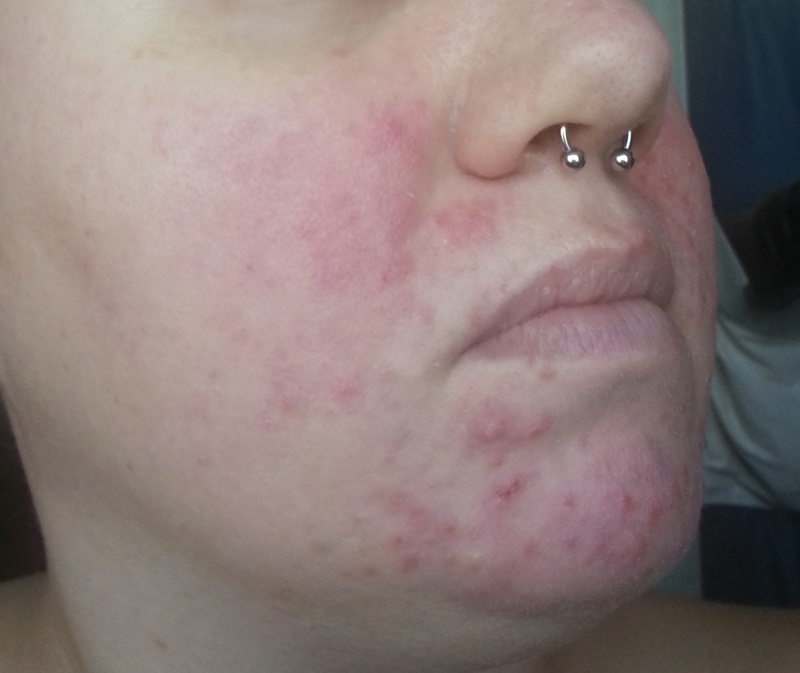 My face is more pink now than red which is normal, it's healing. I am just scared that there is going to be a setback soon. Okay, enough chatter on to the pictures! I know in the picture that my face looks more red than yesterday but I think yesterday was just washout from the lighting. In person today is defiantly less red.